Rebecca Rock is climbing the peaks to do something positive to remember her dad and to help other people fighting addiction and their families. 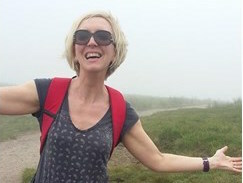 She will walk up Pen y Fan, Cadair Idris and Snowdon in just one day in memory of her dad Tony. Read more about Rebecca’s story and show your support on her fundraising page.